It’s Follow-Up Friday: A-maze-ing edition! And today, I’d like to return to the subject of building-sized puzzles! In the past I’ve mentioned some truly monster-sized puzzles, from the apartment building crossword in Ukraine to multi-story games of Tetris played on the sides of office buildings. Well, another world record has been set for super-sized puzzles, this time in Dubai! 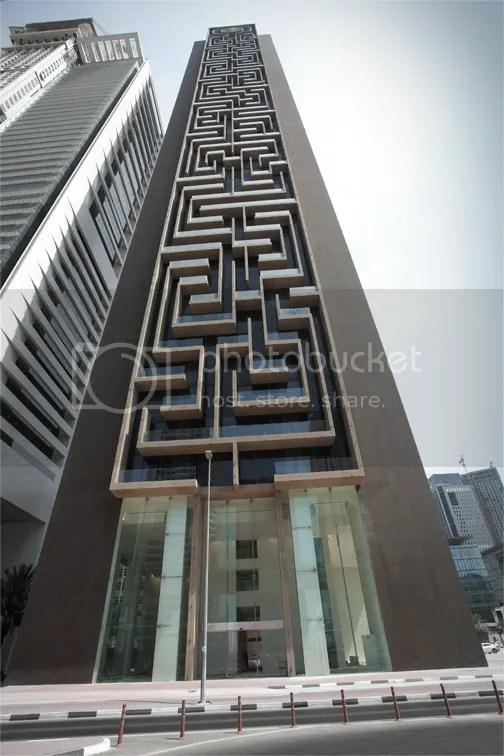 The largest vertical maze in the world (certified by the folks at Guinness!) 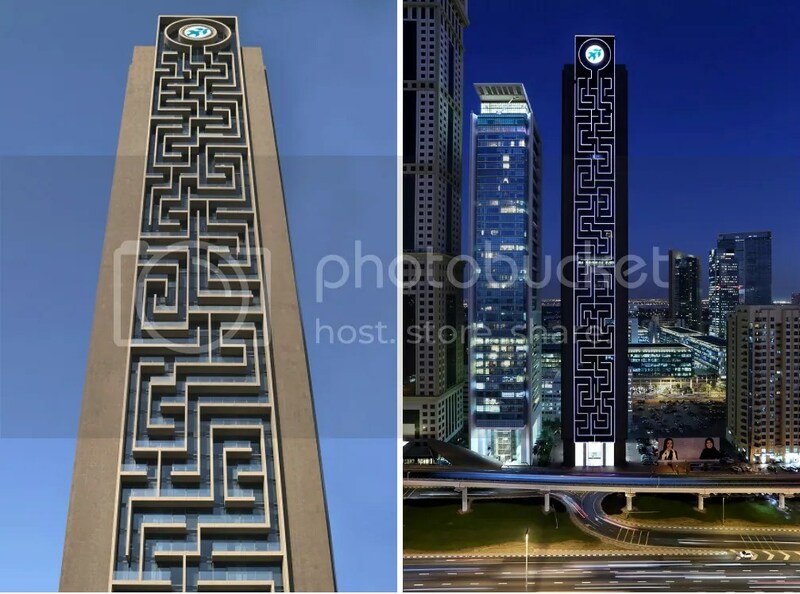 can be found on the side of a 55-story building aptly known as Maze Tower. Although LED lights make the maze quite an eye-catching spectacle at night, the maze is also visible in the daytime, since it was physically built along the side of the building. All it needs is a digital minotaur prowling the corridors to chase off prospective solvers. This entry was posted in Games, PuzzleNation, Puzzles and tagged Announcements, dubai, Follow-Up Friday, Geeking Out, Guinness, Guinness Book of World Records, labyrinth, Lviv, lvov, maze, maze tower, Philadelphia, Pop culture, Puzzle to solve, PuzzleNation, Puzzlin' fool, Tetris, Ukraine, world record by gmdirect. Bookmark the permalink.